Sure. Usually 6 hours until I wake up first time around 10am. Than 2 hours to become really awake at 12am followed by breakfast until 2pm, reading "Der Spiegel" and currently Friedrich Duerrenmatt's plays (Die Physiker, Die Wiedertaeufer). Than hang around, bored like hell for several hours, playing "Spider Solitair" or "Elite Dangerous" or still have a slow ride through "Skyrim". Visit the local supermarket at 7pm to buy the daily ration of beer and cigarettes. Occasionally I feel the urge to do something after this point. It is the earliest time I can do creative or meaningful things. But sometimes I just watch movies and TV-series instead. Every now and then I post foolish things at EP. That helps to kill all the time I have as retiree. Lately I became a supporter of Wikipedia. 50 Euro yearly (13,7 Cent per day - compared to 700 Cent I burn with cigarettes and beer per day). I use Wikipedia nearly every day. And I'm thankful for all the knowledge there. Everyone has access for free without adds. Wikipedia is a very good concept to share knowledge. So my intention is to share my experiances as well. Sometimes I sit for hours in front of my printer and observe how my digital undertakings slowly become part of our carbon world, the so called "real world". Later, around 3-4am, when beer is out, I go to bed and sleep. Sounds pretty relaxed, doesn't it? Currently I watch season 1 of "Game Of Thrones" again. Just to be prepaired for the big final next year. All 7 seasons will take 67 hours. Parallel I run some statue-projects. The best one so far is Narfi. This figure of an avatar is one of the most sophisticated I ever saw. So it's just fun. Allthough I have to cope with his coat is not really a Stormcoat but just one of these fakes. My sister and I had both our own real Stormcoat. Same with Malachai Ash Shades. Our clothes were colored with real black color, not with this silly texture from Arcadia. But hey, who cares! All the clothes will be grey when they leave my printer. I think about to put the white parts of Narfi's coat to the 3D-model. Let's see if it's a good idea. and thanks for sharing that report! While printing Narfi I think about an illuminated laser blade. I am completely noob at this area. A light dagger would be amazing! Please don't feel you must do it, just if you find it fun. Could the hand be cut at the wrist and printed separately with the light in the wrist and the palm against the hilt open? What about fiberoptics? This would allow you to place the light source anywhere (say the torso or arm) and run fiber to where you want it light. I found 2mm 'side glow' fiber, is that too large to cast in the center of the clear plastic shape? I was thinking about your idea of a space ship and you could get a strong light source in the center with lots of strands going out to all of your portals and lights etc.... then started thinking how it could work on a statue with an energy weapon. Perhaps some ideas to get your creative juices flowing? Let's see what I can do with them. What colour is that sword? Jamira you can get 3mm round LEDs and then there are also the flat ones that are probably about 3x1.5mm or 5x2mm (dead reckoning). The fiber optic stuff is cool (DS9... wow!) but I think here you can probably get away with embedding a small LED in the hilt. There is something called total internal refraction (iirc) that may be of use/interest in relation to the blade part of the sword. 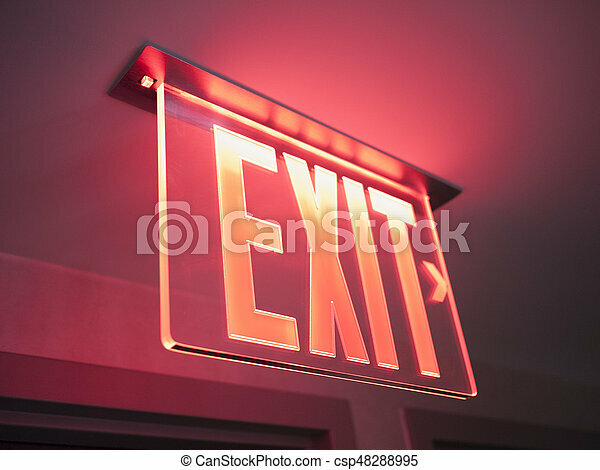 It is the means by which those glass fire exit signs work. In essence you have clear glass/plastic and just "rough up" the bits you want to emit light, and apply light to an edge. Green for Narfi's dagger, blue if I succeed and make my Niflheim sword too. While I wait for the little lightsabers I cutted Narfis hands and print the middle part of the body without them. This way I can nearly finish the figure and adjust the right hand to whatever later. Yeah, but I would additional need batteries, wire and a soldering-iron. I must change the model to have room for the batteries and make pipes in it for the wires. The place for the batteries needs a hatch for changing ... etc. That's all too much effort. I say: If you want a statue, ask Jamira. Costs are below $500 and it'll be a REAL LIFE statue! Delivery within a few weeks. Promised. We miss Jamira, Wistrel, Notadmin, Tass and RAZER. Tomorrow I will get the little lightsabers and can finish Narfi during next days. I think a statue of Jamira should become my next project! Thicker than expected: 10,5mm diameter. It was a good idea to make the hands separately. Probably I can make another right hand with the original dagger. Thanks to the steel pin Narfi could switch from the LEGO-blade to the original and back. Its crazy how well that toy light fits to scale. It looks great!